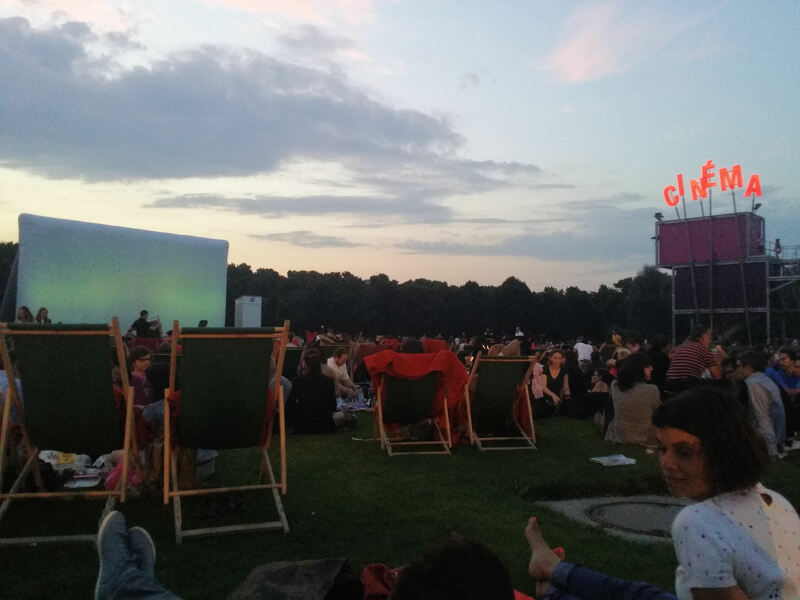 Last night I went to the open air cinema at the Parc de la Villette with a reader, Verena of Vreni’s Vienna Daily Photo! 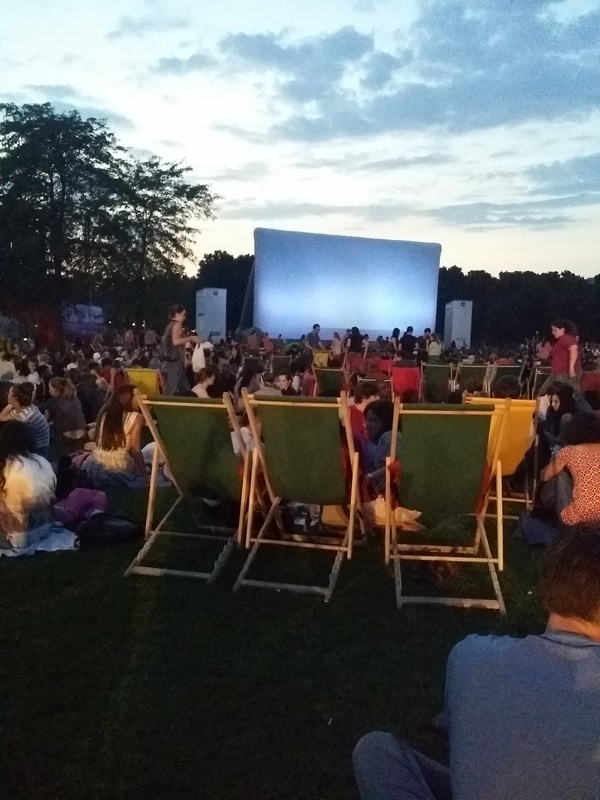 It was like a drive-in without the cars, and a lot of fun! I am now taking requests at Paris By Cell Phone! Is there something Parisian you would love to see on your computer screen? Send me your request at Paris.Paul.Prescott@gmail.com and I’ll hook you up! Or, if you have taken a picture of Paris on your cell phone and would like to show it off to the world, why not do it here? It doesn’t have to be super artistic–there are enough photo sites of Paris as it is–just taken with a mobile phone and that’s all! Please send a copy of your photograph to Paris.Paul.Prescott@gmail.com and I’ll let you know when it’ll be posted. This entry was posted in Paris by Cell Phone, Paris Photos, Special Saturday, Travel and tagged Cinéma en plein air, France, Parc de la Villette, Paris, Paris by Cell Phone, Paris Photo, photo blog, Special Saturday. Bookmark the permalink. A drive in with “transats” (and blankets)… A long, but good evening!